Dr Tripp Thomure loves to help people; that is her goal in life. 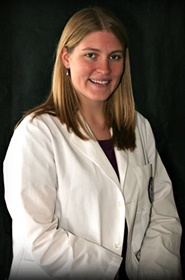 Her first career choice was between teaching and a medical career. Because she loves math and science, she decided to pursue the medical career. The next decision was to figure out what kind of medicine. She chose chiropractic because she believed that it would give her the tools to make people feel better without resorting to invasive procedures. Dr. Tripp Thomure has been a lifelong athlete, so helping people to be more athletic is important to her. She has become a full body certified provider of Active Release Techniques (ART) because it gives her techniques to help both the serious athlete and the weekend warrior get back to their training as quickly as possible. It's also a great tool to help relieve aches, pains, and repetitive injuries of the general population. Nutrition is another interest of Dr. Tripp Thomure . 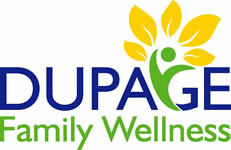 For the past 10 years she has studied websites, attended seminars, and taken continuing education on nutrition topics. Recently she launched Beat the Creep, as a program for help people combat the gradual increase in weight, blood pressure, cholesterol, and other conditions that plague our society. Her goal is to help as many people as possible from falling into the fast food and sedentary lifestyle that much of our country has adopted. Treated many high school and college level athletes at the Biofreeze Rehabilitation Clinic. She helped athletes recover from injuries and prevent future injuries. Dr. Tripp's senior research project involved using chiropractic adjustments to treat females who experience menstrual pain. Patients were treated twice a month for 3 months. 95% of the subjects experienced improved symptoms. Dr. Tripp THomure earned her B.S. in Kinesiology from the University of Illinois in Urbana Champaign, where she was a Bronze Tablet scholar and tutored athletes that were studying Kinesiology. Dr. Tripp Thomure grew up in Warrenville, IL and graduated from Wheaton Warrenville South High School. She played volleyball, and was a pitcher on the softball team. She continues to coach young pitchers, both while she was in St. Louis and now with the Warrenville Park District (WGSA). 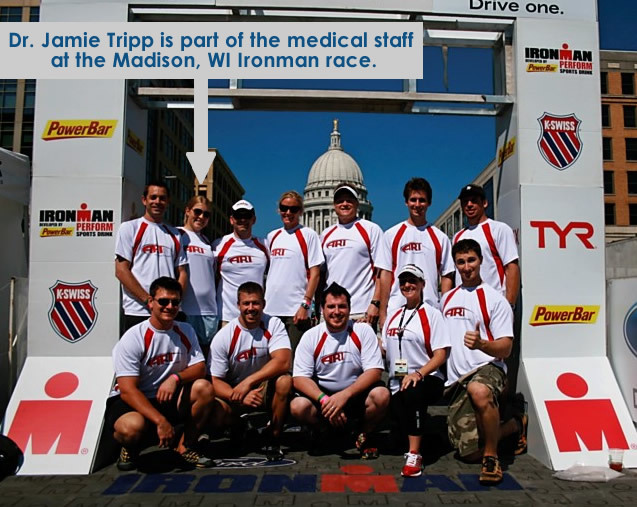 In her spare time, Dr. Tripp enjoys spending time with her friends and family, running, biking, watching sporting events including the Cubs, Fighting Illini, Bears and Bulls. She regularly attends workout classes such as zumba, yoga, and pilates. Dr. Tripp Thomure is happy to be back in the Chicago area, and is looking forward to meeting many new people in the Warrenville, Wheaton, Naperville, and surrounding areas. Please like her facebook page so she can keep in touch with you.